Loomstate !Act Natural! Blog: Help Us Build a Bio-Swale! Help Us Build a Bio-Swale! We will be teaming up with innovative landscaping firm, Open Source Landscape and local environmental education and service organization, Lower East Side Ecology Center to heal NYC's waterways. Our group is going to transform a water-logged and Sandy-destroyed street tree bed into a climate change-adapted, bio-swale rain garden. 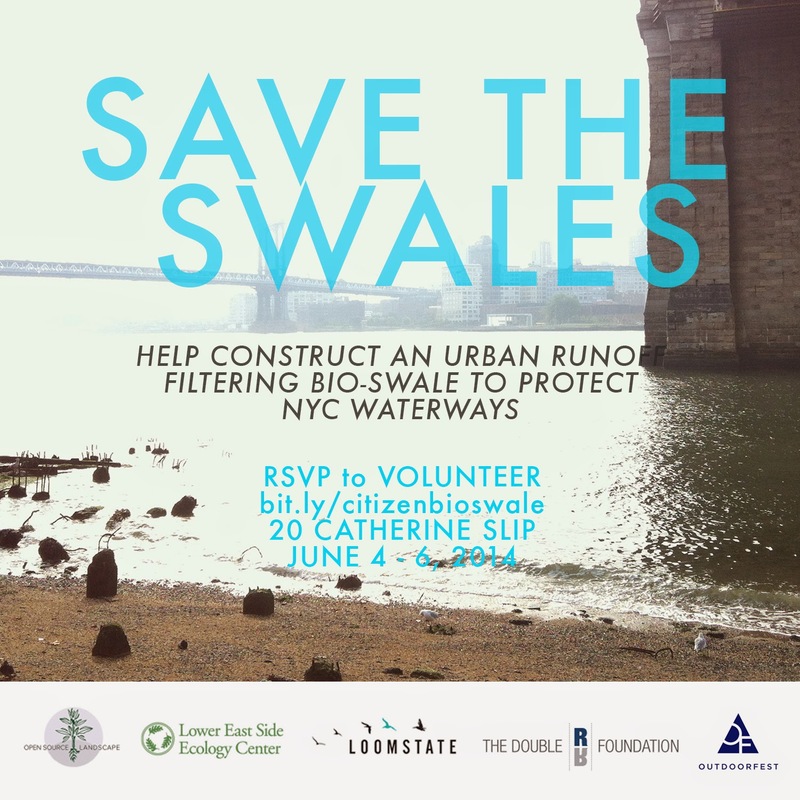 Come help build a bio-swale at Catherine Slip. A more permeable Manhattan means cleaner waterways! We will split each day into two volunteer shifts, which will include lifting, shoveling, planting, and getting your hands dirty. If you would like to volunteer for the entire day, please RSVP for both the Morning and Afternoon shifts that day. Between the shifts we will have an hour break for lunch. Though we have a lot of work to do, it's possible that we will finish the project before the final day. We will notify you by e-mail if we happen to finish the project early. Please sign up here. Woohooo, can't wait to work with you! Please wear sneakers or work boots and clothing that you won't mind getting dirty. Bring work gloves if you have (extra will be provided on-site), apply sunscreen, and bring any water/food you will require. Food and drink will not be provided, but there are bodegas nearby.